The DF10F is a class that never got beyond the prototype stage in China, although a number have been built for export. Each unit is powered by a 12-cylinder version of the engine used in the DF4D giving a total power output of almost 6000HP. 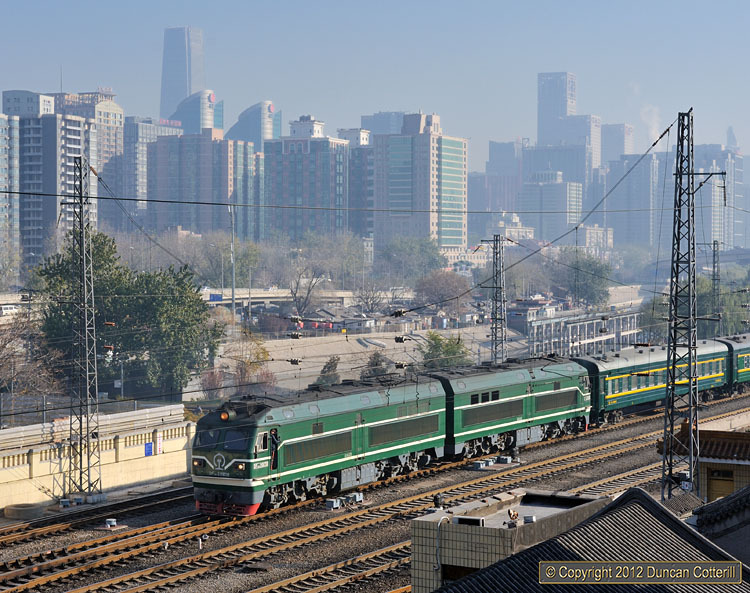 DF10F 2003 pushed the empty stock of its train back to the carriage sidings near to Beijing station on 24 November. The loco is thought to have worked in with train 6452, the 06:45 stopper from Tianjin.